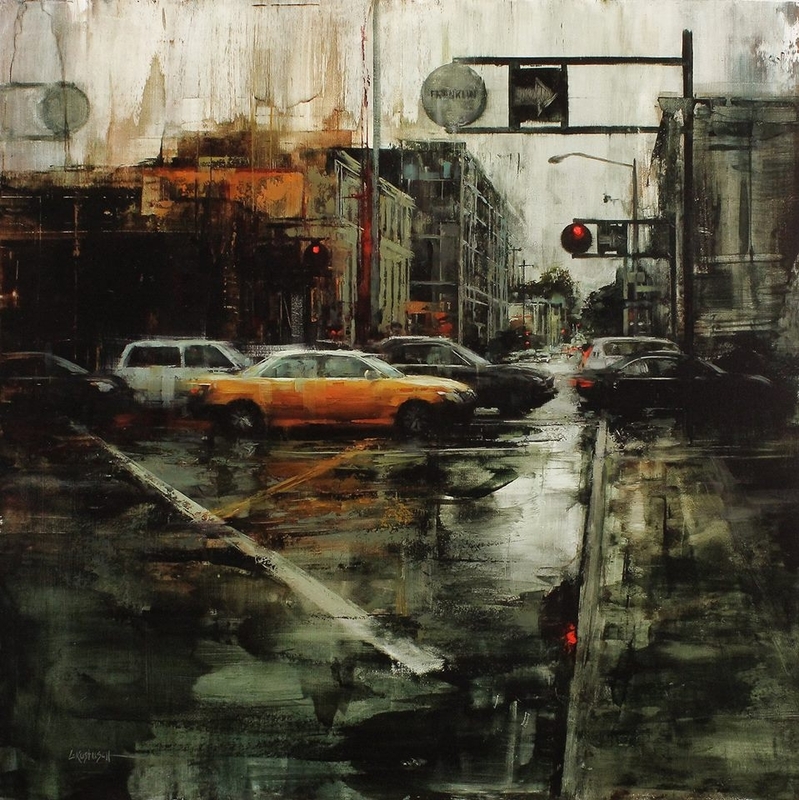 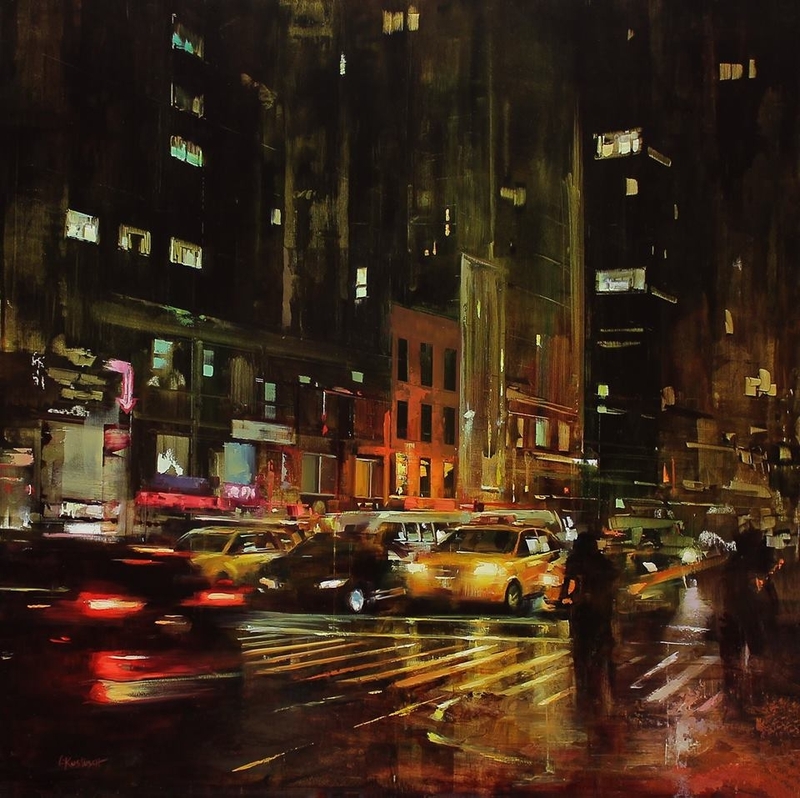 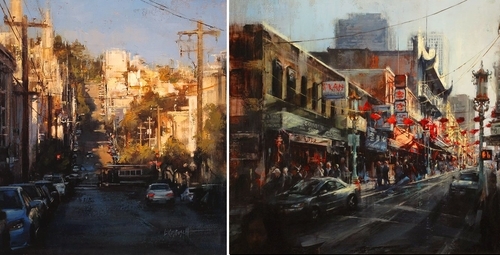 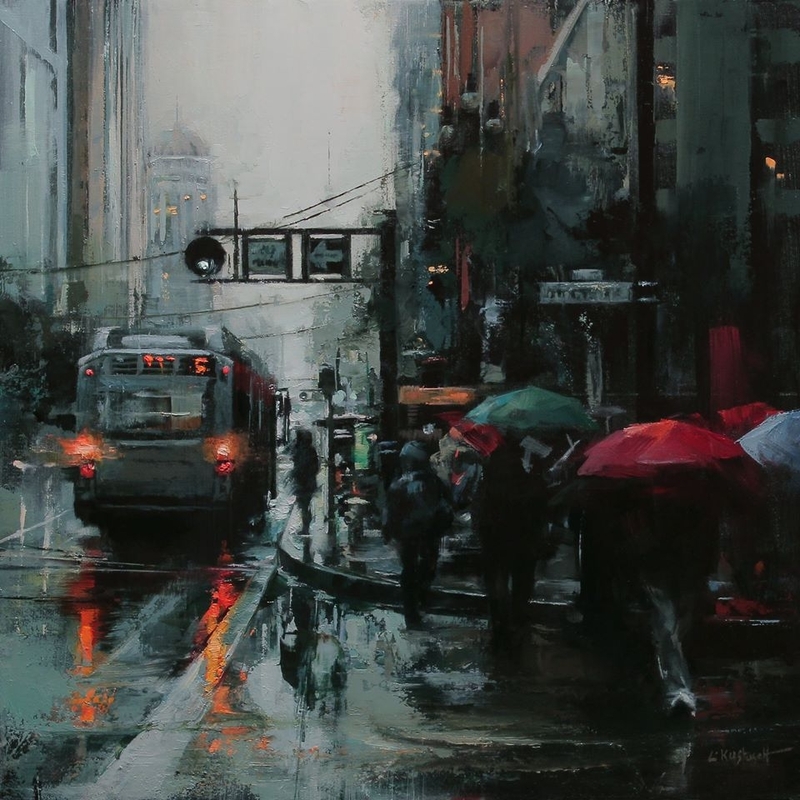 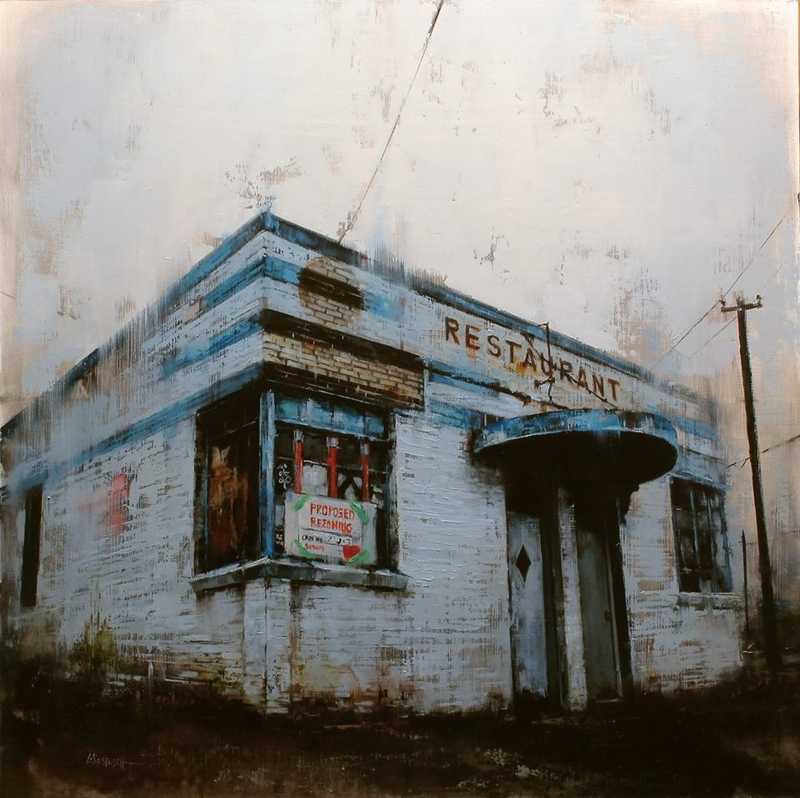 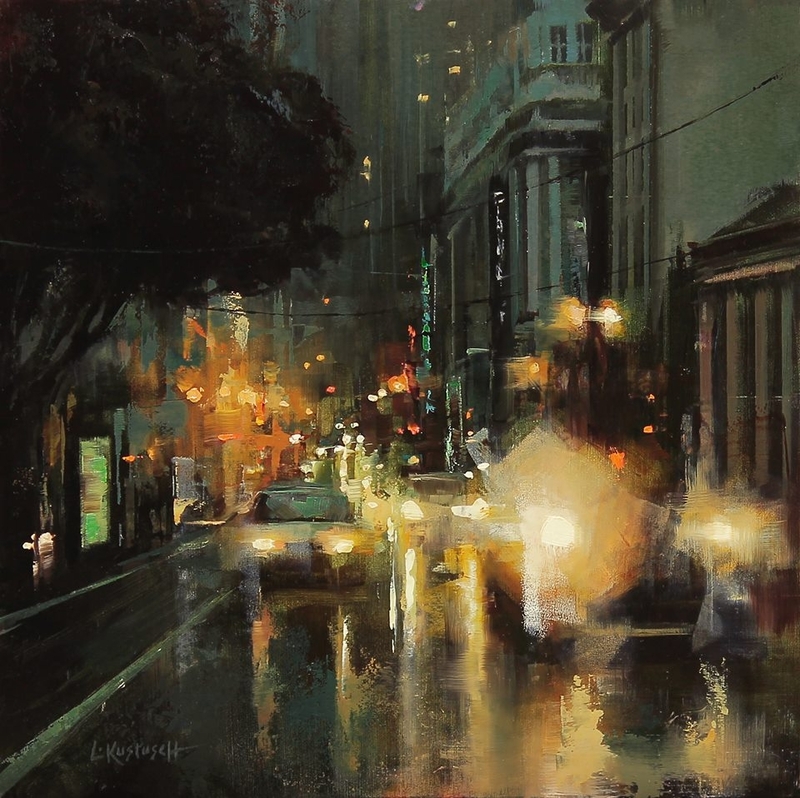 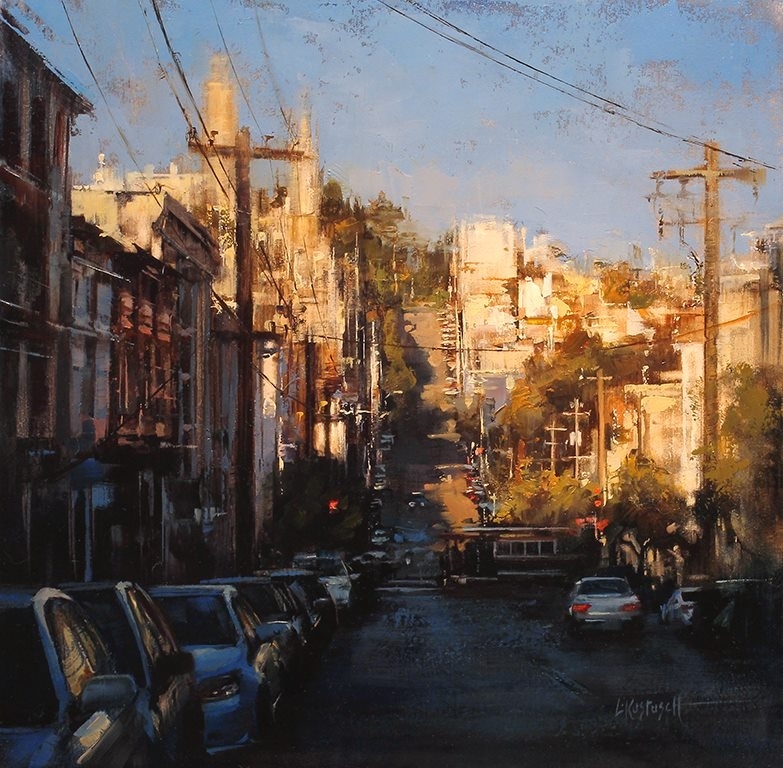 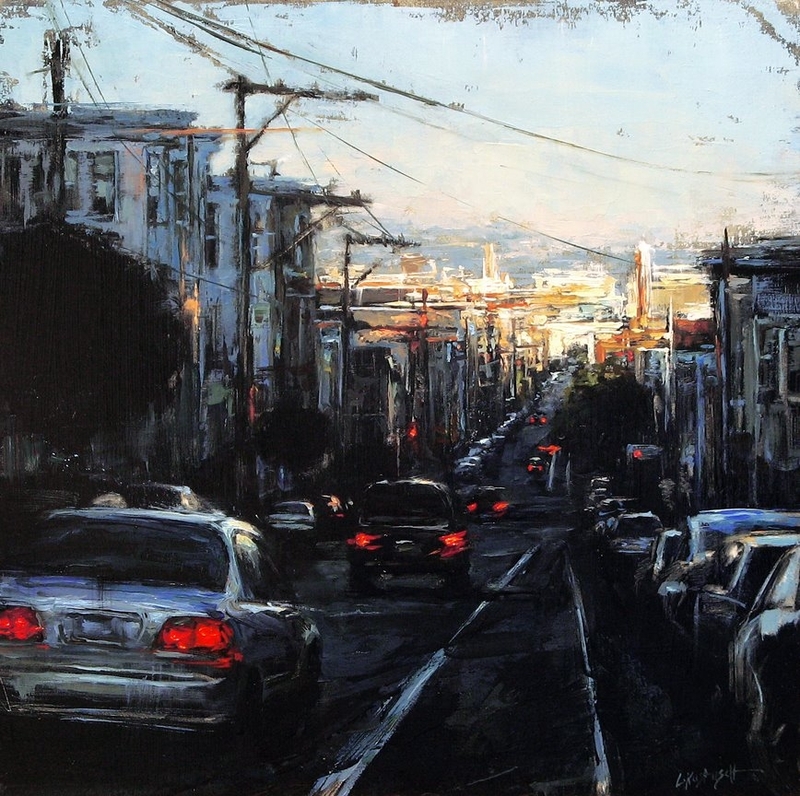 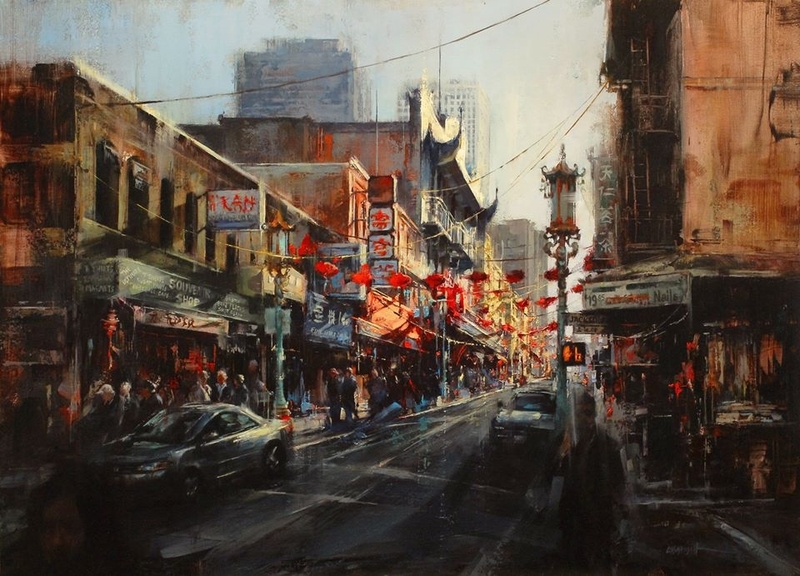 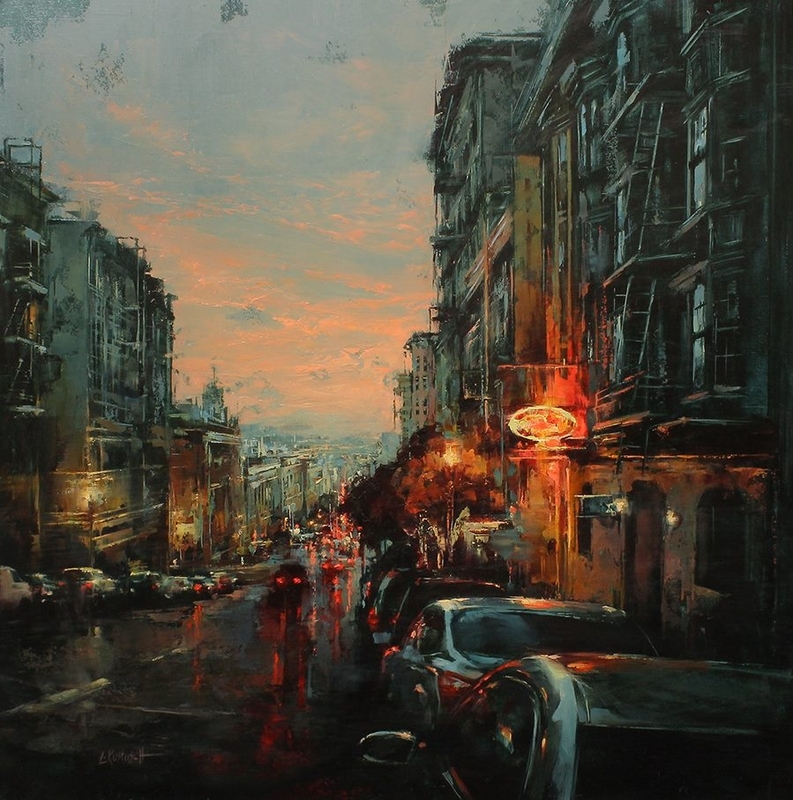 Urban Life captured in Oil Paintings. 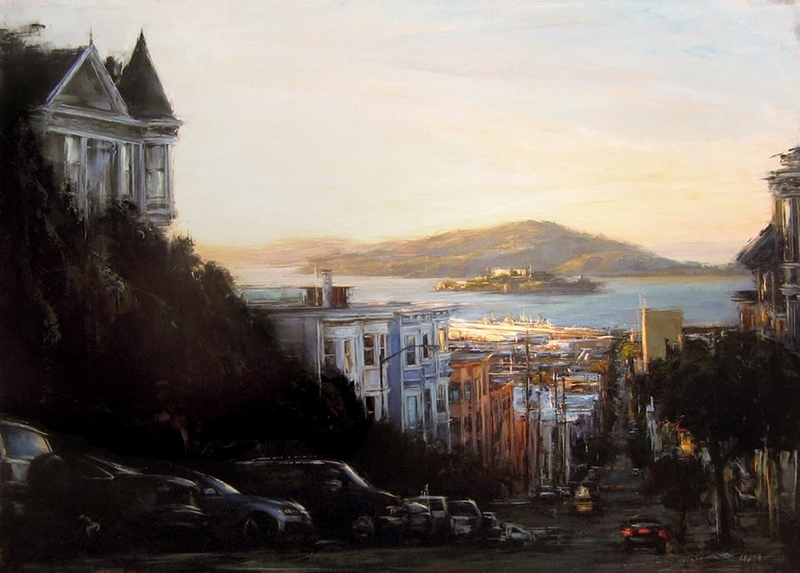 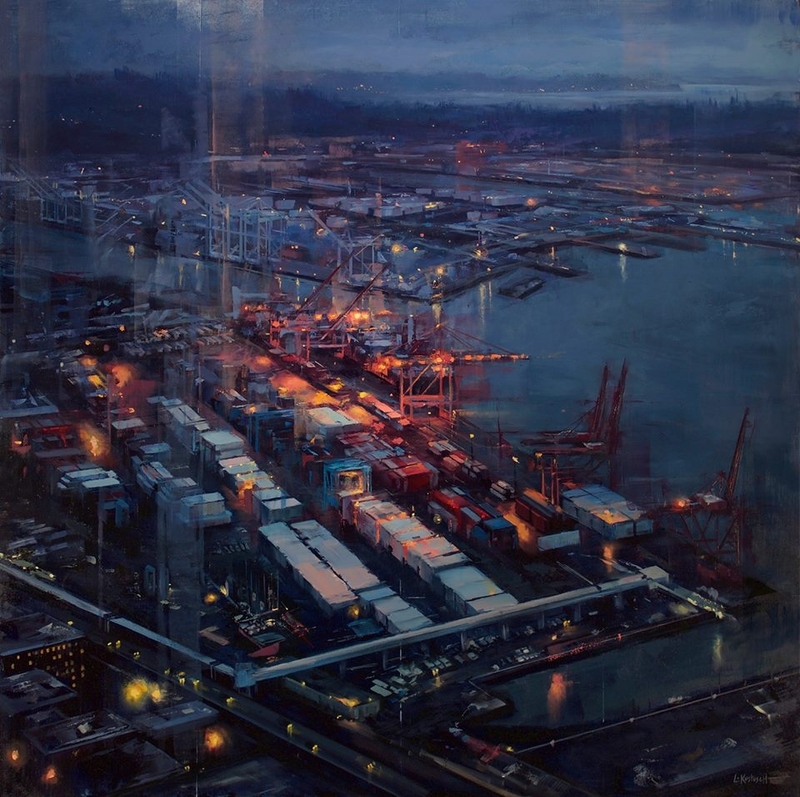 Lindsey Kustusch has been living in the San Francisco Bay Area for almost 15 years, which has heavily influences her art. 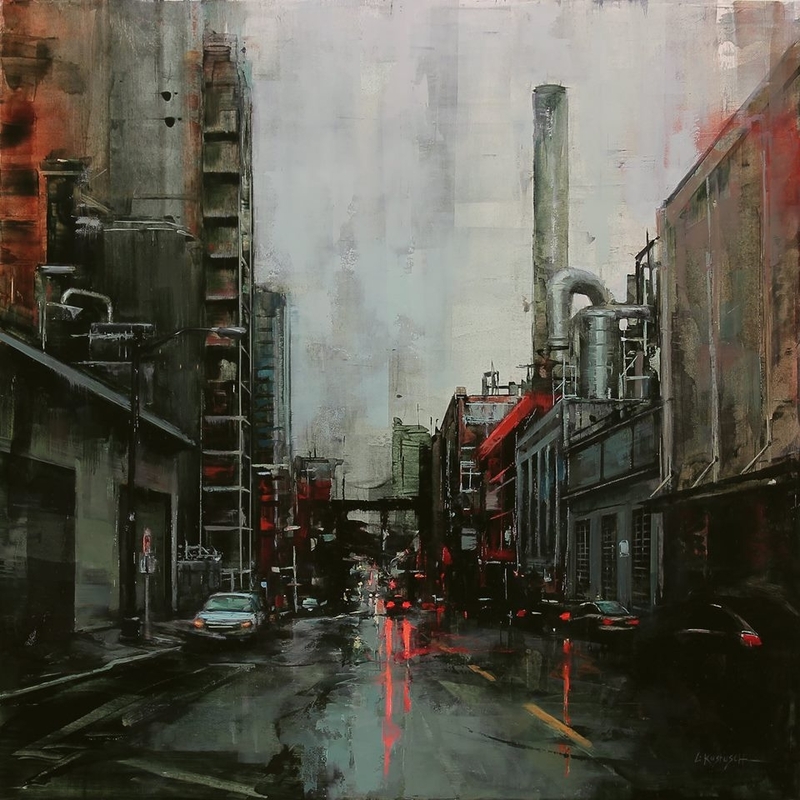 The following is taken from Kustusch's site, it really explains the inspiration for her art and the emotions and facts that she tries to capture in her paintings. 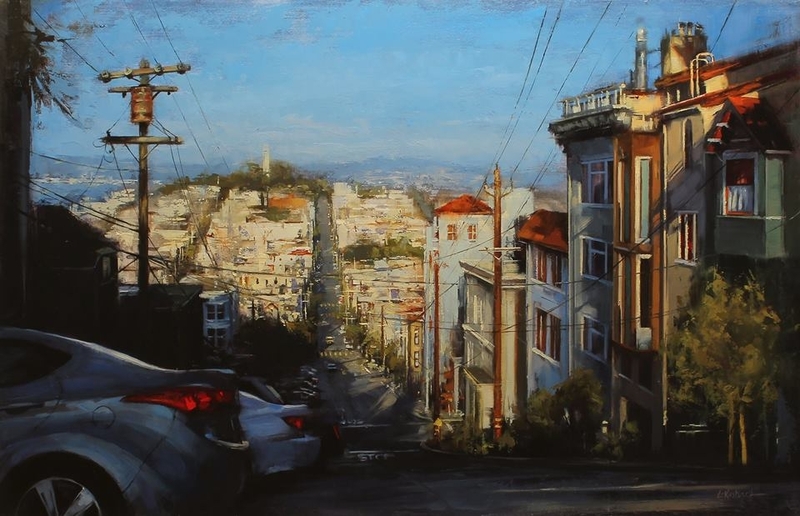 "My focus is to chronicle the fleeting seconds of life in oil paint. 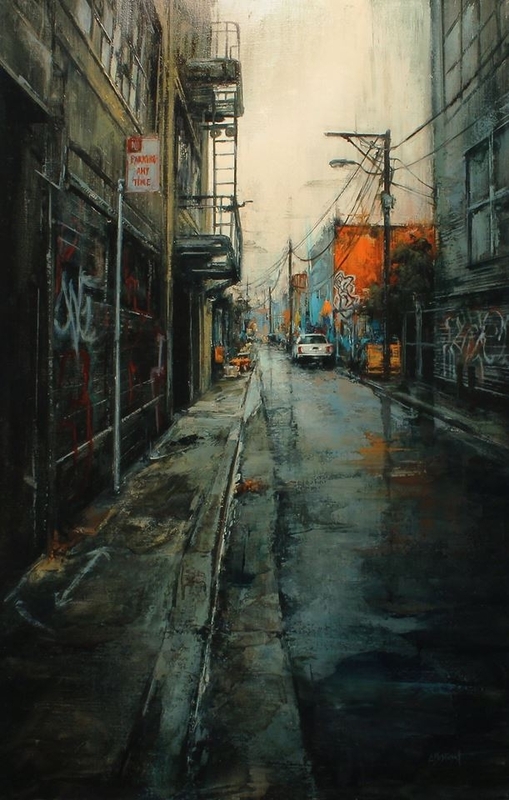 Preserving all of it… the quiet, the chaotic, the intimate, the nitty gritty nooks and crannys, the everyday things I see, people I pass on the street, and the thoughts and feelings that are attached to each one of those memories... my life, as I live it."